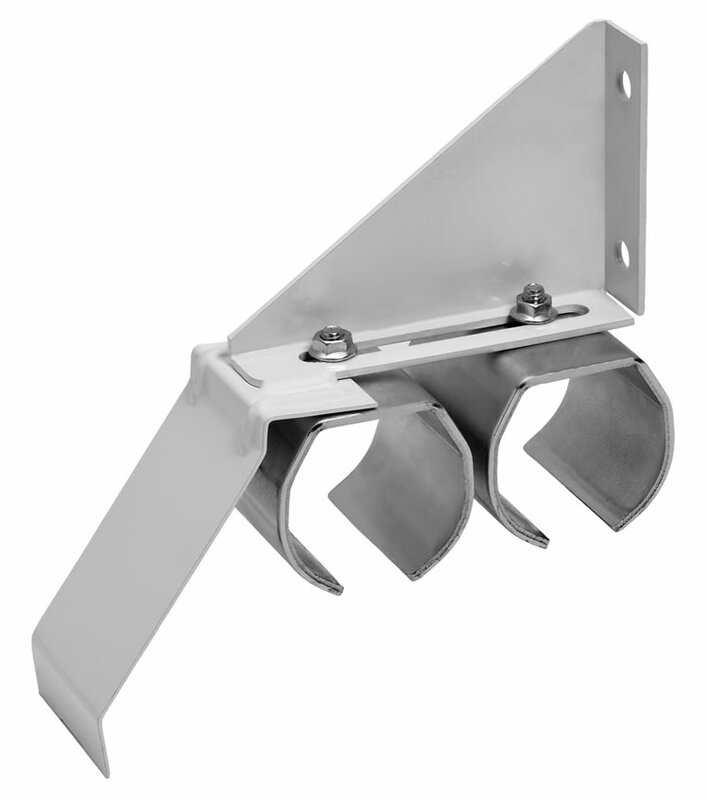 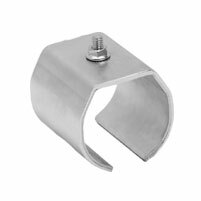 This slide-on bracket top mounts for use with #3 Slotted Track. 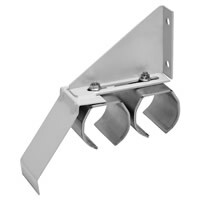 This slide-on bracket face-mounts for use with #3 Slotted Track. 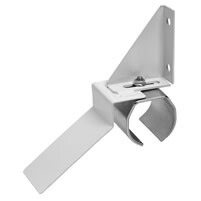 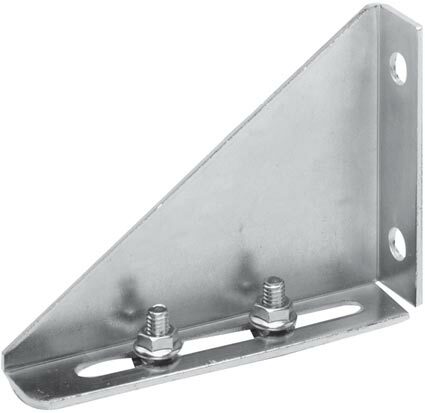 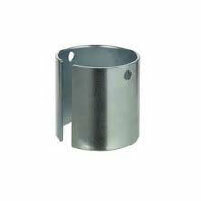 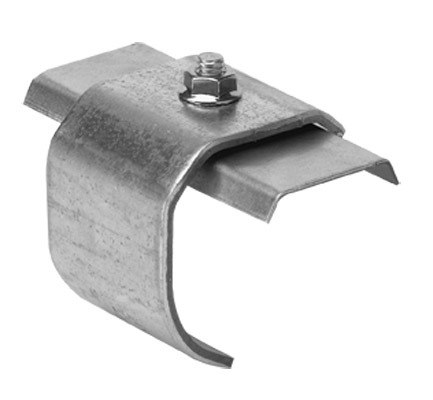 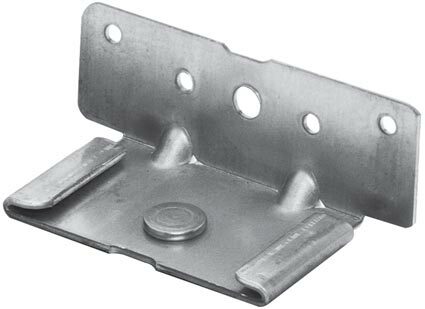 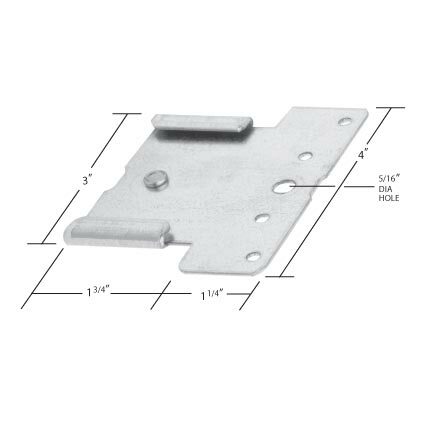 Bracket can be used as a ceiling mount bracket or with other angle mounting brackets. 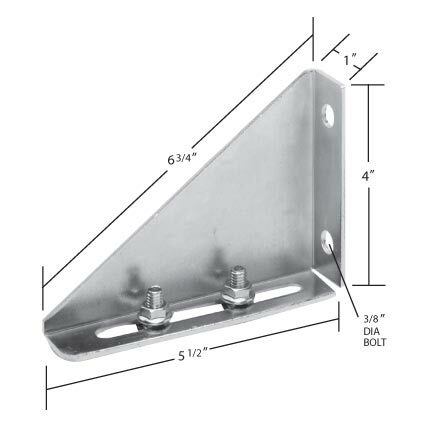 Double track bracket (face-mount), bolts included. 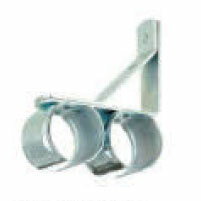 Use with #3 Slotted Track. 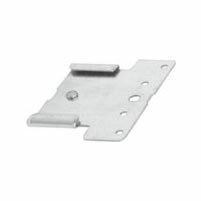 For use with #3 slotted round track. 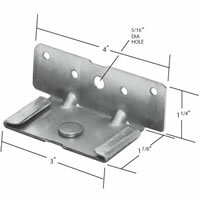 Rivets fit through keyway slots in each track section, allowing track, brackets, and cover to be joined as a single unit. 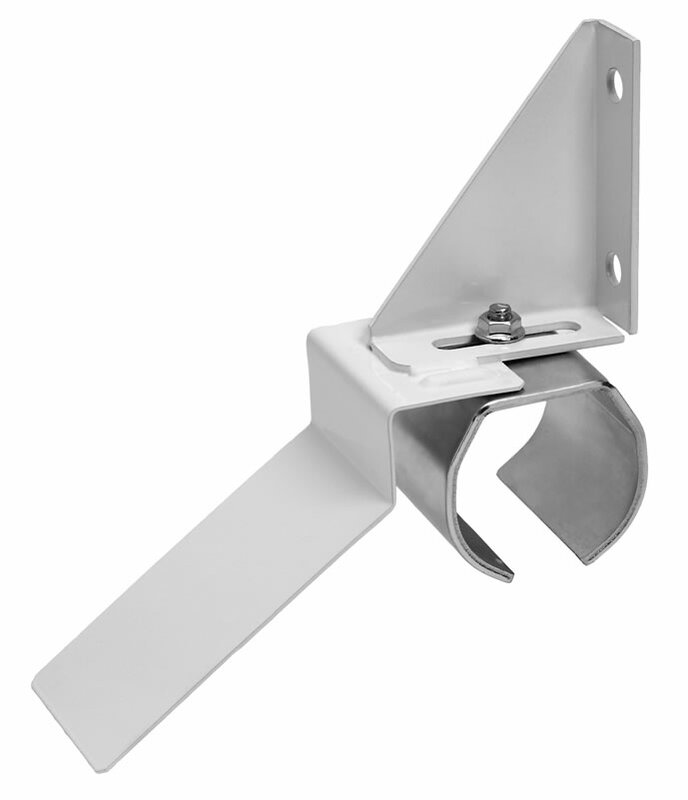 Wall mounted, and used at 12" to 18" intervals to hang track to the side of the building. 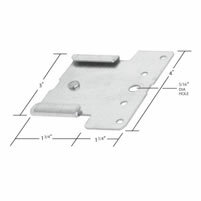 Can be used with 1 1/2" and 3 1/2" doors. 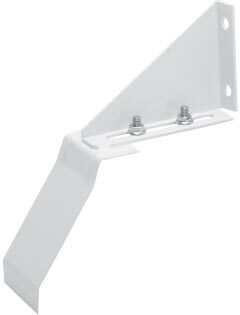 Available 3-ASB without flashing bracket. 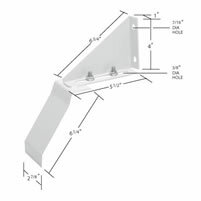 Wall mounted, and used at 12" to 18" intervals to bring double runs of track to the side of the building for by-pass installation. 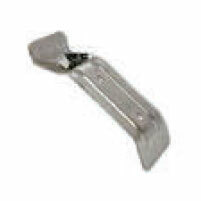 Available 3-ADB without flashing bracket. 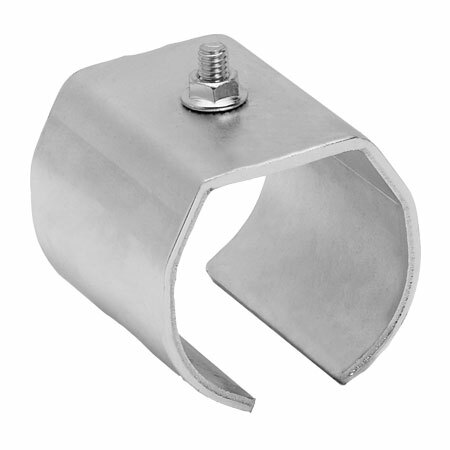 Round track splice collar for use with #11 slotted track. 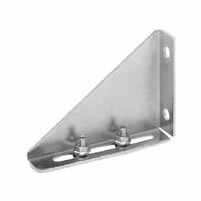 This slide-on bracket top mounts and supports cover. 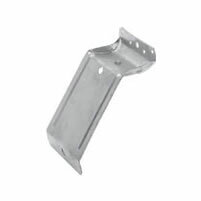 Used with #11 slotted track. 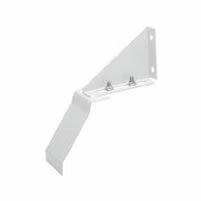 This slide-on bracket face mounts and is used with #11 slotted track. 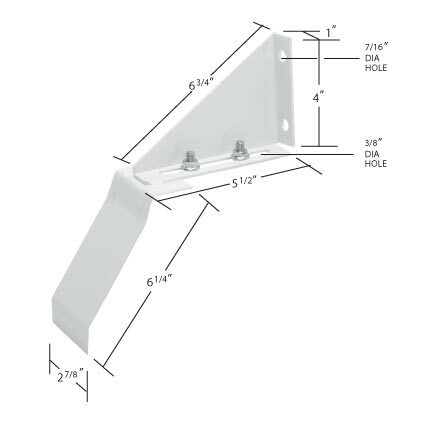 This slide-on bracket face mounts and supports cover. 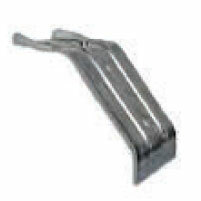 Used with #11 slotted track. 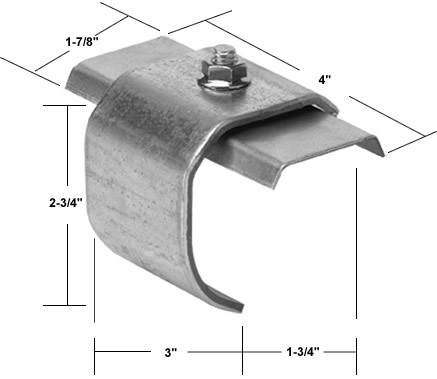 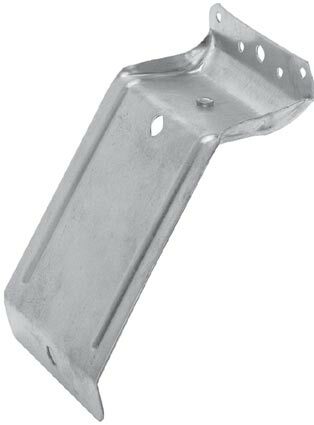 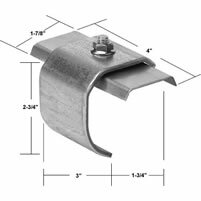 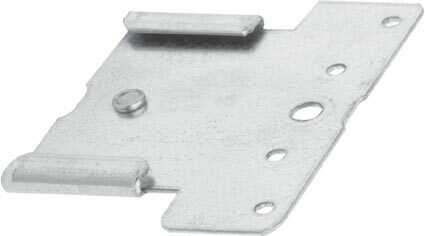 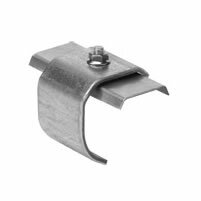 Cover support bracket to be used with 11-3A and 11-3C brackets. 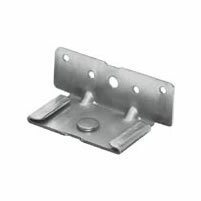 Face mounted heavy duty bracket allows adjustment in spacing. 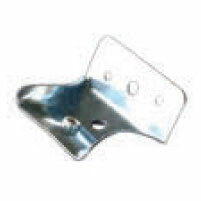 Also acts as splice. 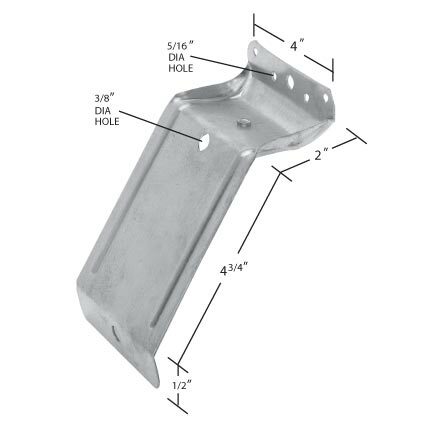 Use with #11 slotted track. Face mounted heavy duty double bracket for bypass installation. 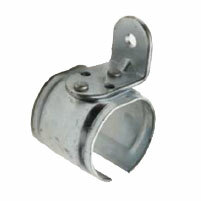 Use with 11-1PC for cover. 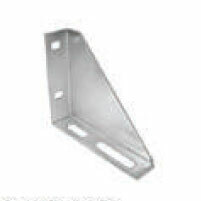 Use with #11 slotted track.